Since we started in 2008, hard work and efficiency have been at the heart of everything we’ve done. We’ve delivered countless projects throughout the North West and nationally. Our collective experience allows us to work with clients across a broad spectrum of sectors including private residential, commercial, retail, local authority, the NHS and corporate businesses. Honest, integral and down to earth, we pride ourselves on our hands-on approach to all of our work. 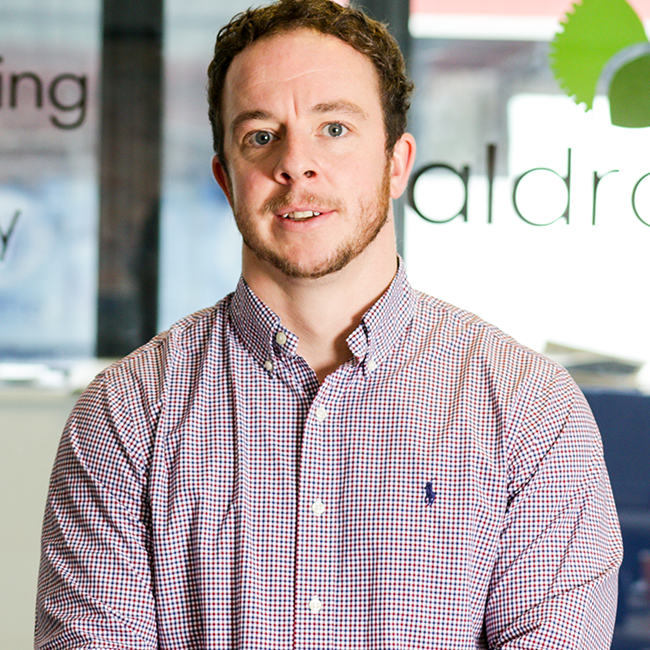 As Managing Director of Aldrock, bringing ideas to life is by far the most rewarding part of my job. I thoroughly enjoy the challenge of managing the collaboration between our three cohesive departments, to ensure that a smooth package of services is delivered to every single one of our clients. Whether that be in Architectural Design, Surveying or Energy Assessing, we always aim for the best. My passion for this industry was first ignited during my time at university, where I studied for a degree in Building Surveying. After graduating from UCLan in 2007, I decided to gain experience working in Multi-Disciplined Practices. 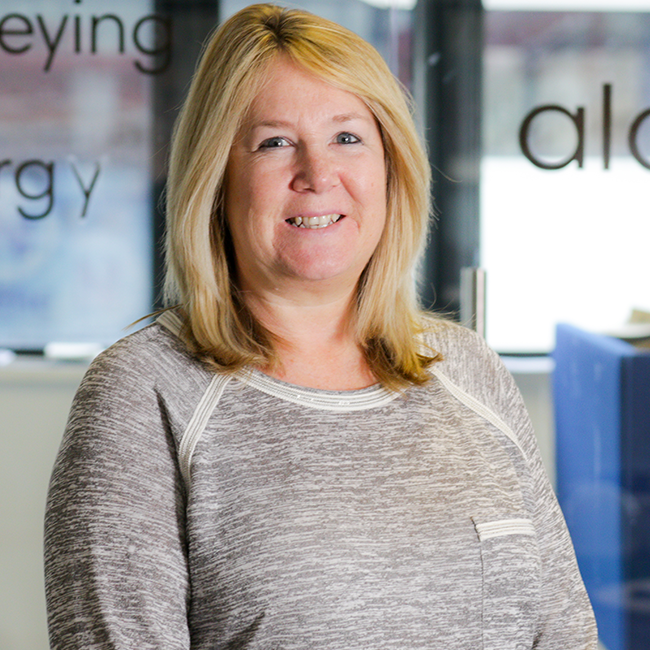 It was here that I began specialising in Energy and Sustainability, in order to meet the growing demands surrounding legal changes under the EPBD legislation. Following this, I became a Consultant to a national training company, helping to construct courses and provide training to people throughout the British Isles. After gaining extensive experience and knowledge in this field, I decided it was time to take the plunge and establish my own company. This is where Aldrock’s story begins. Not only was my aim to create a company that offers an efficient and friendly service, but I’ve always strived to offer a competitive edge. To this day, I feel this is something we’ve definitely achieved, and we have high hopes and aspirations for the future of Aldrock. After graduating from UCLan in 2007 with a degree in Building Surveying, and with nothing but the remaining £150 of my student loan, Guy Shorrock and I decided to found, Aldrock. Even in the early days of our business, I have always strived to create a sustainable, successful business that is respected for its ability to achieve goals, but to most importantly, finish every project with our clients smiling. Within the company, I am responsible for managing the statutory energy documents for a wide range of clients, ranging from small developers, all the way to multi-national companies. My role also involves overseeing the technical aspects of running the business to ensure that it operates smoothly and efficiently. In terms of my experience, I’ve worked in the construction industry for over ten years, choosing to specialise in Energy. Additionally, I have also gained qualifications in Domestic and Commercial energy assessing. With years of hard work behind me, I’m proud to say that I still love my job and thrive on the diverse challenges of my role that I face on a daily basis. Finding solutions to problems is my favourite aspect of the job, and whether I’m developing a spreadsheet to speed up an office task, or I’m advising clients on how they can reach a ‘PASS’ for their Building Emission rate, it’s always a joy for me to come to work. After leaving school, I was incredibly lucky to dive straight into my chosen field of design. Finding my passion at such an early age encouraged me to undertake part time study, where I not only achieved an ONC, HNC and an Honours degree in Construction Management, but I also gained a Postgraduate Diploma in Building Conservation and Design. Having the opportunity to combine my studies whilst gaining firsthand experience not only provided me with a well-rounded skill set, but it installed the knowledge needed to make a mark in this dynamic industry. 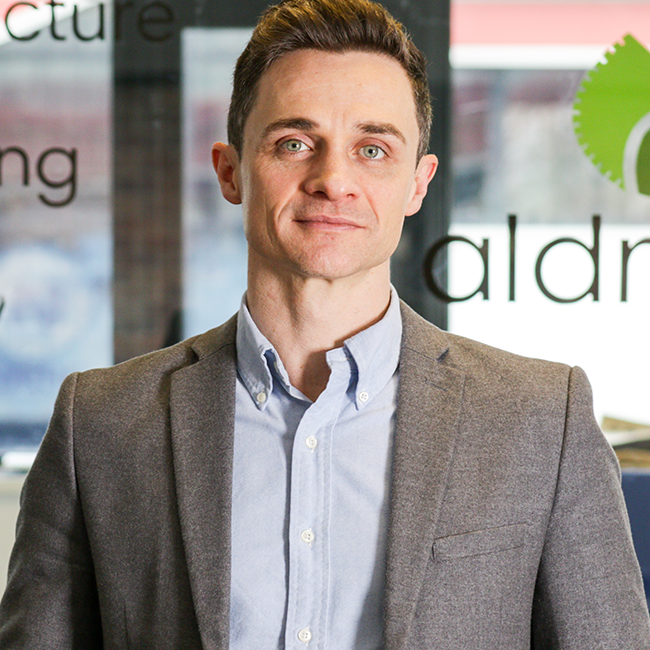 As a chartered member of CIAT with 25 years experience under my belt, I was delighted when Guy and James asked me to join the Aldrock team to help develop the architectural service. Not only was I really impressed by their level of commitment, but I felt we shared a similar ethos and could deliver professional projects to our clients, in a creative and enjoyable, work environment. With all of this in mind, it’s easy to get up in the morning knowing that I’ll be working on a variety of interesting projects. From hospitality and health projects, to residential and leisure, one thing’s for sure: I thoroughly enjoy witnessing our projects progress from a single idea, all the way through to a finished building. I first discovered my passion for business when I took on the role of Office Junior within an Engineering Manufacturing company. I soon progressed into the role of Head of Distribution Sales and after dedicating myself to this company for a grand total of eighteen years, I finally decided it was time to expand my horizons. I quickly began working in the Public Sector for Business Link NW, where I successfully gained my ILM Level 5 in Business Support, as well as an ILM Level 4 in Mentoring. 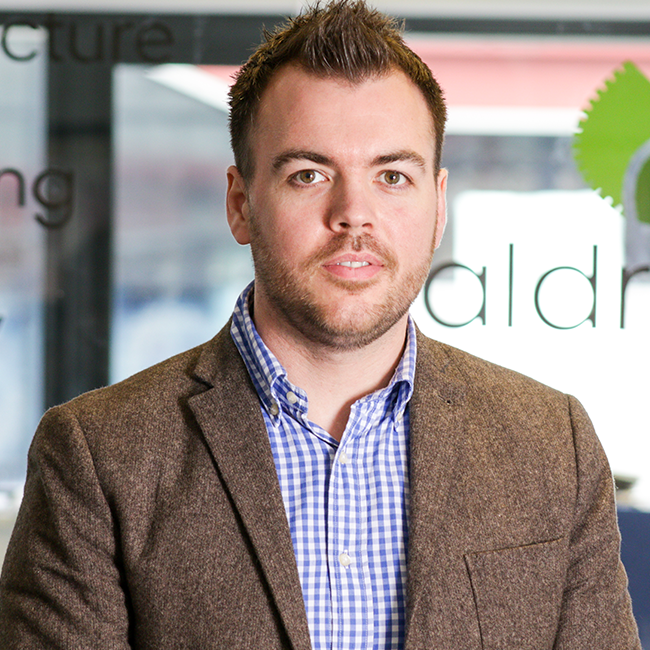 After initially meeting Guy, Aldrock’s Managing Director, in 2011, I was delighted to be offered the role of Office Manager in April 2015. Within this diverse role, I facilitate the smooth running of the Aldrock office. From tackling admin duties and organising accounts, invoices and credit control, all the way through to quality management, and handling any HR/Personnel responsibilities, there’s rarely a quiet moment! As you can imagine, working within a busy, multi-disciplined practice can be challenging at times, but it’s a role that I thoroughly enjoy! Now, with over 30 years of business experience under my belt, and after being crowned ‘Networker of the Year’ at the Enterprise Vision Awards in 2012, I have a collection of testimonials which affirm my professional work ethic. 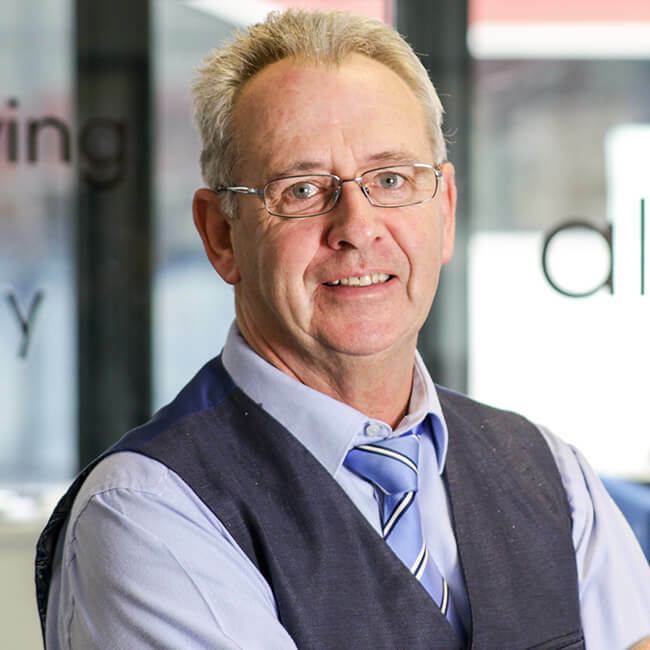 What’s more, I am proud to have utilised my wealth of knowledge and experience, in order to have founded my own company, Ann Ainsworth Associates, an award-winning administrative support service. Variation is something that particularly attracted me to my diverse role at Aldrock. Within my role of Senior Architectural Technologist, rather than working relentlessly on uncompromising projects for months on end, this position allows for a variety of daily tasks and projects, making my routine enjoyable and interesting. Not only am I responsible for creating detailed, working drawings and 3D models, but I also process planning and building regulation applications. I’m also accountable for conducting feasibility plans, as well as assessing pre-acquisition plans and building specifications. Since I was nineteen, I’ve dedicated myself to years of hard work in order to develop a successful career that spans an impressive twenty-two years. During this time, I’ve achieved a HNC in Building Studies and the Built Environment, as well as several qualifications in REVIT; a CAD 3D package used by professionals to develop accurate, higher-quality architectural designs which are cost effective for the client. I thoroughly enjoy knowing that I’ve contributed to an effective end-product, so much so in fact, that this is the motivation and driving force behind my success. With my keen eye for construction detail, I love getting my head down and solving complex problems and have always strived for a high level of detail in everything I do. 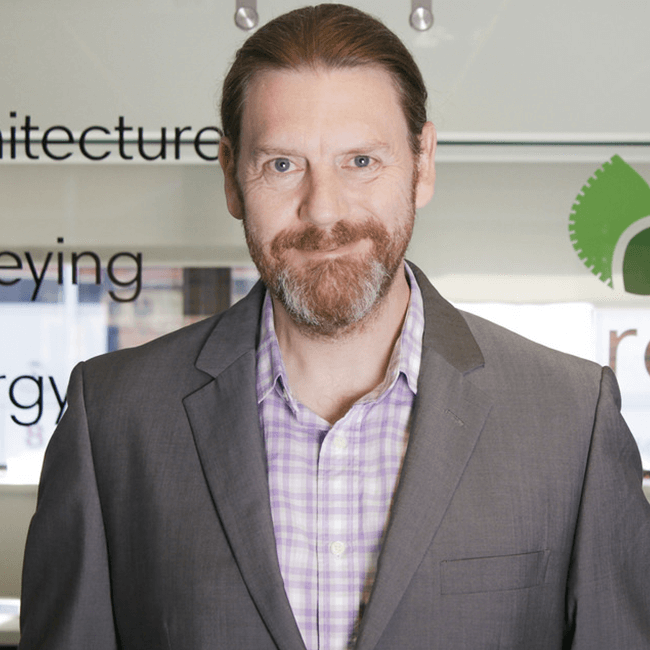 As an Energy Consultant and SAP Assessor, I’m primarily responsible for the assessment of a building’s energy efficiency, as well as the production of Energy Performance Certificates for both domestic and commercial properties. So far, this has taken me from shopping units, to the heights of high-rise student accommodation, with frequent travel across the UK being all in a day's work. To get to where I am today, I’ve dedicated myself to building a strong foundation of qualifications and experience. After graduating from university with a BSc in Environmental Science, I have continually worked in the energy conservation industry. However, a move up-north prompted a shift into the renewable energy business, and subsequently, allowed me to carry out energy assessments and technical monitoring on hundreds of businesses. From the Midlands through to the Lake District, I’ve assessed everything from warehouses to hotels, dog parlours to pubs, through to chippies and shopping centres - there’s never a dull moment! I’ve also designed many Solar PV systems and has been involved in the supply of air-source heating and biomass systems. What’s more, I’ve achieved a Master’s degree in Coastal Management and am a fully qualified Domestic and Non-Domestic Energy Assessor. 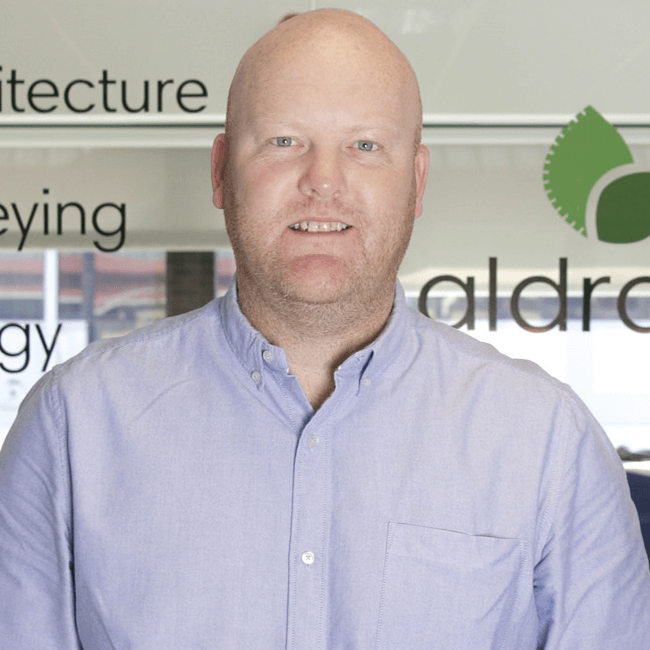 In all, I’m pleased to say that my drive for sustainability and my exciting vision for future growth, perfectly intertwines with Aldrock’s business integrity.